We’ve seen people riding their bikes with ear buds firmly inserted in their ears, rendering them distracted and at a disadvantage on city streets. The Feats Per Minute bike is a clever concept that lets cyclists play music while they ride in the most stylish and adorable way possible. 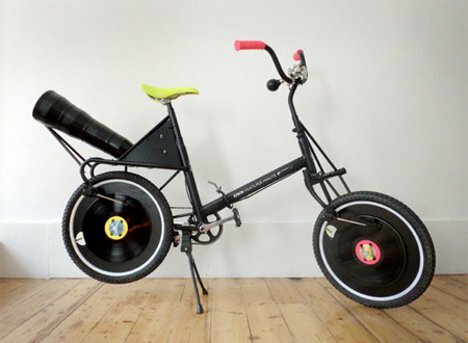 The bike was designed by a team of Dutch designers who wanted to turn the simple act of riding a bicycle into an exploration of music. They spent a month designing and building the bike, finding out along the way that it was even harder than they expected. Using two vertical record players, the team assembled one of the most inventive bikes ever. 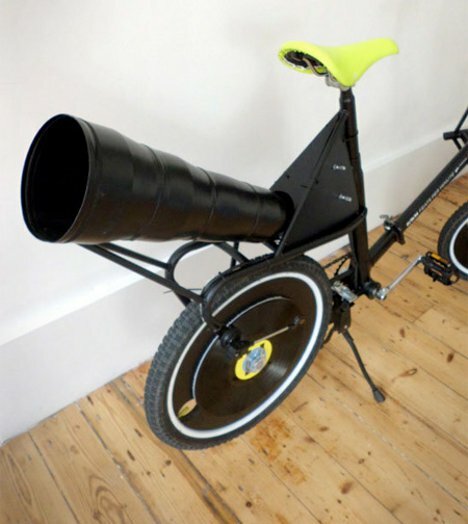 In addition to the records, the bike features a megaphone-type speaker jutting out from the back. The needle that plays the record hardly ever skips, but the trick to riding the bike and getting it to play beautiful music is to pedal at a moderate and steady rate.